Hamilton Beach Hand Mixer Just $12.96! You are here: Home / Great Deals / Amazon Deals / Hamilton Beach Hand Mixer Just $12.96! Score this #1 Best Selling Hamilton Beach Hand Mixer for just $12.96 at Amazon! PLUS, get FREE shipping with Amazon Prime or for orders over $25! Whip up an airy meringue or decadent cake with the Hamilton Beach Hand Mixer. This versatile mixer is your go to appliance for mixing, whisking and folding. A built in bowl rest makes it easier to set the mixer down when adding ingredients. It also touts six speeds, including a burst function for additional power at any speed. 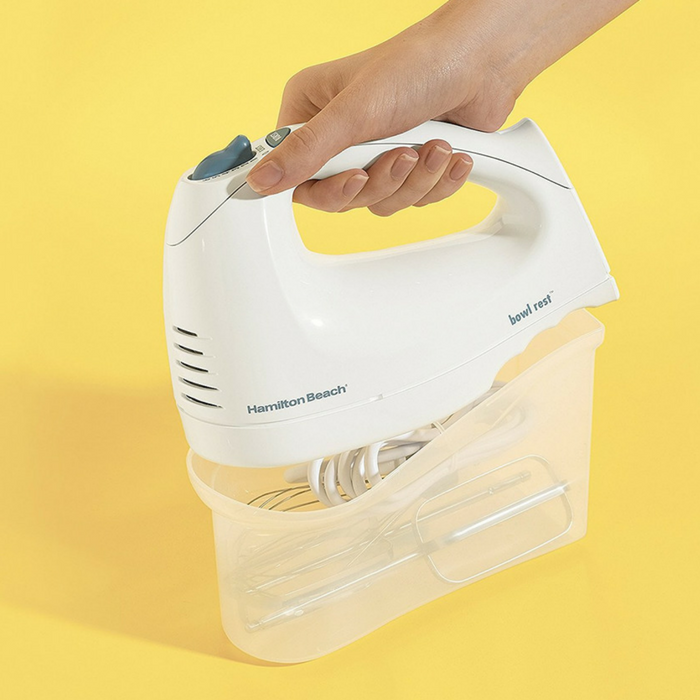 The Hamilton Beach Hand Mixer is not just about performance – it’s also designed for easy storage. A convenient snap-on case keeps attachments together, so you don’t have to search for them each time. It’s perfect for this Christmas season!